Animal Collective have always had a steady reputation for reinvention. If you compare the tender lyricism and lush production of their 2009 magnum opus, MERRIWEATHER POST PAVILION, to the otherworldly, abrasive noise pop of their 2000 debut album, you’d be forgiven for thinking you’ve heard two different bands entirely. Similarly, the insular, vulnerable naturalism of their 2005 release, FEELS, is in complete contrast to last year’s vibrant, hyperactive album, PAINTING WITH. On their latest release, THE PAINTERS EP, Animal Collective continue their recent trend of loopy production and scattered vocals. Thankfully, it appears some vulnerability is creeping back in, albeit slightly. PAINTING WITH was an album that flexed its sonic palette with bouncy, high-octane rhythms and unique vocal layering effects, but was marred by a lack of “soul,” so to speak. The problem was that even if a song on PAINTING WITH dealt with a subject matter that was personally affecting, such as Avey Tare recounting time with his grandfather in “Bagels in Kiev,” it was rushed over by vocals and beats that seemed more preoccupied with putting the listener into a hurried daze instead of instilling them with a memorable musical moment. The opener off of THE PAINTERS, “Kinda Bonkers,” finds the group moving back to their emotionally resonant roots. The track puts the vocals front-and-center, with Avey Tare commenting on the lunacy of the world around us. 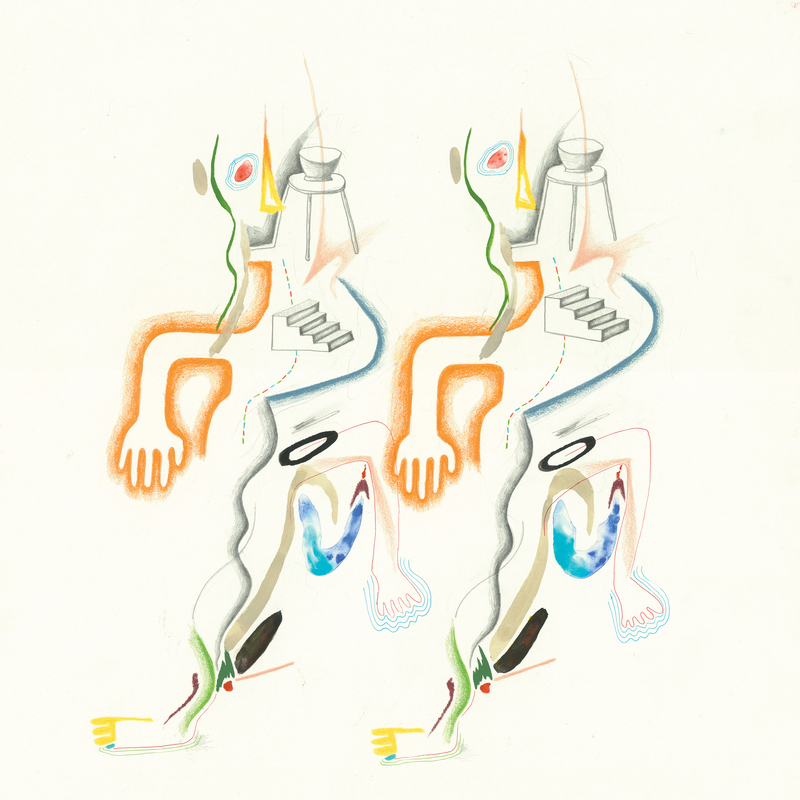 With the idiosyncratic, warm backing vocals and light rhythm accompaniment, a notable tongue-in-cheek wistfulness is achieved, a style that Animal Collective excels at. The sing-song campfire style and joyful delivery contrasted against the arguably serious subject matter elevate the opener to compelling heights. The first half of the EP, thankfully, takes some time to breathe. “Peacemaker” is a psychedelic-infused tune peppered with sitar samples and a lumbering synth beat. The track isn’t especially novel aside from continuing PAINTING WITH’s fondness for call-and-repeat style vocals echoing between Panda Bear and Avey Tare. However, Panda Bear’s deadpan singing compliments the woozy tone well. It’s an intriguingly zen listen, bringing to mind archetypal vibrant tapestries and burning incense. At the song’s end, however, THE PAINTERS sprints full-speed ahead, with lesser returns. The following track, “Goalkeeper,” sounds like something out of a colorful Nintendo platforming video game with its sugary synths, convulsing rhythms, and muddied vocals. There are a couple of breakdowns in the track that prove to be exercises in grave overstimulation. The crammed vocal layering and cheesy bass slapping sound fly directly over any sense of established tone the track could have grasped. The vocals hinge on unintelligible, and it’s hard to track what the song is really trying to convey sonically other than a mental image of a saccharine children’s cartoon. The four track effort concludes with a cover of “Jimmy Mack,” a song originally by Motown soul trio Martha and the Vandellas. The track speeds the original beat up to an enjoyably danceable pace. The accompanying synthesizer snorts certainly sound silly, but complement the fun, manic pace of Avey Tare’s delivery quite well. There doesn’t appear to be a strong reason for the cover’s presence on the EP other than a desire to end with a sunny jaunt, but it’s ultimately a welcome addition. Overall, THE PAINTERS is an upbeat and generally enjoyable EP. However, it lacks a sense of staying power in Animal Collective’s discography, especially due to its similarity with PAINTING WITH. It would have been a more welcome change for the band to incorporate a more serious, emotionally rich tone to its accompanying release, similar to what they achieved with their nocturnally-influenced 2009 EP, FALL BE KIND. That EP covered darker, deeply personal experiences about the struggles of being a band. It was an insightful listen, full of surprising sonic textures and clever lyricism which served as an effective yang to MERRIWEATHER’s ying. Regardless of THE PAINTERS’ occasionally shallow vulnerability and production techniques, it is worth a listen for any fan of the band; just don’t expect a revelatory experience. Connor Duffey is a culture critic and sensitive guy living in Los Angeles. He is fun, flirty, and a great listener.